BEAR VALLEY, Calif. – In Bear Valley, a rural community in San Bernardino County, an off-duty U.S. Forest Service fire captain was killed while riding his motorcycle. A Ford pick-up truck made a left turn and struck him, according to San Bernardino authorities. The motorcyclist, age 36, was taken to Bear Valley Community Hospital where he unfortunately succumbed to his injuries. The motorcycle accident occurred on North Shore Drive at Tinkerbell Avenue. Our thoughts and prayers go out to this man’s family. As motorcycle accident attorneys, we see accidents like this all too often: drivers fail to watch where they’re going and make a left turn in front of a motorcycle. As motorcycle riders, there is sometimes nothing we can do to prevent accidents. That being said, the safest way to ride is to always assume that you are invisible to people in cars. More often than not, you are! Defensive driving techniques at places like the Motorcycle Safety Foundation are a good start. 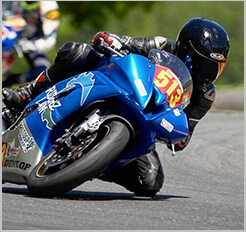 At Riderz Law, we encourage all of our clients and readers to take a motorcycle safety course. Ride safe and ride smart. It could save your life.